Being unaware of the basics, a lot of people tend to make the worst choices when it comes to buying a record player. But, we don’t want you to be one of those people who end up buying something that’s not worth your money. And to prevent that from happening we are giving you here a complete guide to the record players, from basics to advance. 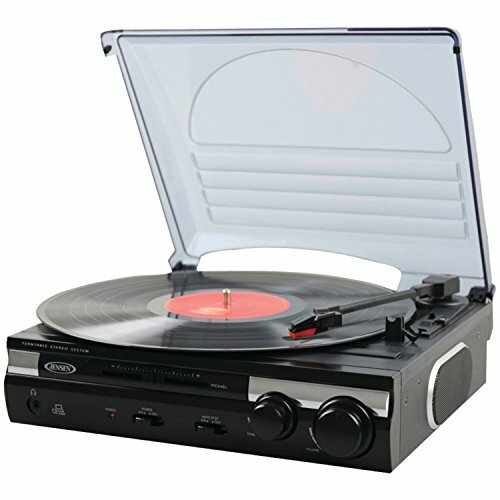 We have also compiled a list of the best and the most reliable record players as per different budgets. So, read ahead, get yours, and relive the glory days. What Makes a Record Player Better Than The Rest? 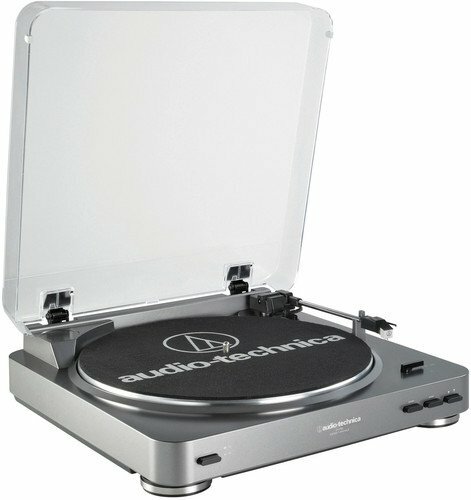 When it comes to record players, the Audio-Technica AT-LP120 is hands down the best option available in the market. The efficient performance, durable construction, unparalleled music quality, and high level of compatibility are few of the many reasons for giving this record player the top spot. If you are looking for something that doesn’t occupy too much of your space and provides a stellar performance when it comes to sound quality and music control, then give a try to the Audio-Technica ﻿﻿AT﻿﻿-LP60. With its full automatic function and superior music controls, this is going to be your hot favorite. The Jensen JTA-23﻿0 is a very high performing record player in a very small price. If you are running low on the budget then you surely can’t get anything better than this record player. If you want to recover and listen to every tiny musical detail from your old and precious vinyl, there is nothing better that can do the job than the Pro-Ject Debut Carbon DC. With its carbon tonearm, hefty platter, 2M cartridge, and high-gloss finish, you are sure to get a high-quality output every time. If you want a good quality record player without exceeding the price limit of $100, you ought to give a try to the ION Audio Max LP. The player features integrated stereo speakers with a remarkable sound for a pleasurable experience. It also comes with an appealing design that will make it a beautiful addition to your house. Our top pick is the AT-LP120 from Audio-Technica due to its extraordinary performance and eye-grabbing features in a justified price tag. You will find this player to be highly reliable and well-built with an outstanding sound quality. The LP120 is a direct-drive record player that can be easily connected to any external electronic devices like stereo, smartphones, or computers via USB or analog so that you can listen to all your digitized records, whether old or new. The spin of the record player in this model does not include belt or any other movable parts. Also, the platter in this device is run by the direct connection to the motor. This is what makes it a direct drive model. The player comes with a slider on the side for controlling the pitch of the music with multiple adjustment settings. This means you can easily set it on higher or lower volumes and can forward or reverse the positions. The record player has a cast aluminum platter, making it a pretty sturdy model. 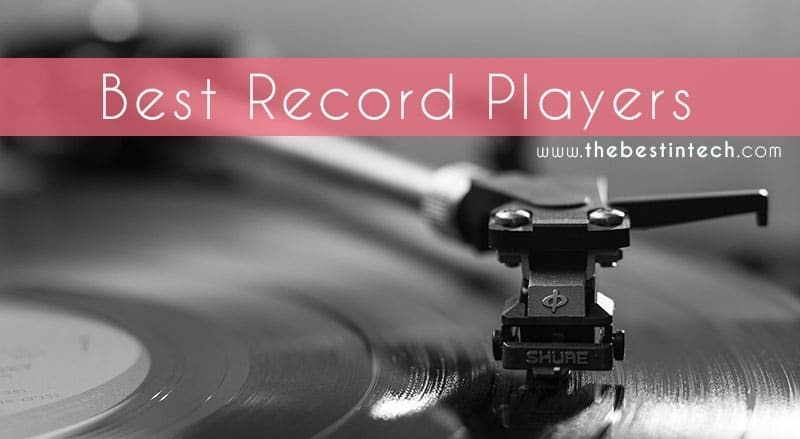 The player also has speed modes from 33RPM to 45RPM to 78RPM, so you can select as per your choice. It also comes with all the required cables, connectors, and adapters that can be linked to your PC, monitor, or stereo. 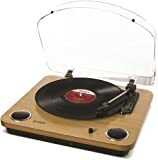 Last but not the least; it has a great value for its price in comparison to the majority of the excellent quality models of the record players available in the market. The Audio-Technica AT-LP60 is another great option for you if you are looking for a highly consistent and excellent performing record player. For your convenience and ease, the record player comes with a totally automatic function along with 2-speed operations to choose from. The AT-LP60 comes with a turntable design and a gorgeous outlook that greatly augments the look of any place where it is kept. The player features a replaceable stylus with a dual magnet phono cartridge. It also has an integrated phono pre amplifier with RCA cables for connectivity. This player is a perfect choice for all of you who are looking for a less space taking, durable, and a highly automatic machine that takes record playing to a whole new level. The next amazing record player that made it to our list is the Jensen JTA-230. This model comes with a belt-driven design with stereo speeds at 33, 45, and 75 rotations per minute. This record player is insanely inexpensive. So, we’d strongly recommend this model to all of you who are on a very tight budget. But, despite its low price, it has still got some really awesome features, which is why it is one of our favorites. The player comes with integrated speakers that produce a very high-quality sound, especially when we consider it for its minimal price. For easily converting the formats of vinyl records into digital ones, it comes with a USB port along with its cable. What’s even more awesome is that the software required for recording, changing, or converting the formats is also included in the player. The player also gives you a direct connection to your iPod, Tablet, or any other types of audio devices through its aux input jack. The record player gives you full control over the pitch of the music by allowing you to easily adjust the speed and sound. This gives you a better music listening experience as you can play it the way you like. Other additional parts include a power display, automatic stop button, and dust cover for keeping it nice and clean. At a meager price of $38, you will not find anything that is better performing than this record player. Our next pick is the Pro-Ject Debut Carbon DC that comes with an astounding sound. This option is great for you if you are really into premium quality record players. This record player comes with a very stylish and sleek design that makes it a beautiful centerpiece of any household. The black color not only gives it depth but it also gives off a very mysterious and yet enchanting look. The usage of this record player is very easy and interesting. It is more like a plug and play device that takes your music listening experience to the next level. 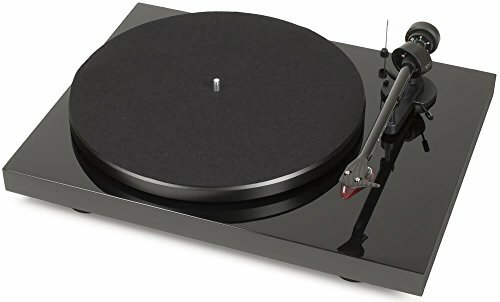 The unique thing that sets this player apart from the others is its carbon tonearm that provides it the stiffness that it needs. It wards off any unnecessary resonances for delivering the best performance. The power supply of the player has also been updated lately, which results in a more consistent speed. And the absolute best thing is the player’s cartridge that results in recovering the tiniest of the details. Both the cartridge and tonearm work together to track and retrieve all the minute details of the music from the vinyl. The bigger and heavier platter along with a silent motor prevents the player from any sort of vibrations and delivers a smooth sound. Another low priced option after the JTA-230 is the ION Audio Max record player. This player also features integrated stereo speakers that produce a very impressive sound. And they also eliminate the need to attach the player to another speaker, which makes it pretty convenient to use. However, you do have the choice to link it to any other audio system in case you want louder sound than what the record player produces. Or, on the other extreme, if you don’t want any interruption during your music time, you can also connect the headsets for a more personal experience. For changing analog records into digital ones, all you need to do is to link the player to your PC through a USB cable and then change the formats using the conversion software. The software CD is also included in the package so you don’t have to arrange it from elsewhere. This player allows you attach any sort of audio gadgets like your mobile phone or laptop to it. You can also share your favorite old tracks with your buddies after changing their format into the digital one. The design of this player is pretty aesthetic and it will add a fusion of vintage plus modern look to any room you put it in. And it will look even more stylish if your décor matches the color scheme of the player. The player also comes with a protective dust shelter that keeps the player safe and clean. With all of these amazing features and a high-end performance, this record player is totally a bang for the buck. As a buyer, you need to know about all the best choices in the market that fall under your budget. For figuring out which options are better than the others, there are a few things that you need to thoroughly consider. Take a look. First of all, you need to ensure that the record player you are picking is functional for you. For that, make sure that the player not only supports the speed of your record but it should also be able to match up the playback speed with it. Secondly, do consider the construction quality of the turntable. But it doesn’t mean to develop unfair quality expectations if you are not willing to pay justly for that. So, just ensure that the player is durable enough for its price. For some people, it doesn’t really matter because all they want is a high performance from their record player. But, being noticeably bigger in size, a record player is surely going to attract a lot of attention from every passerby. So, its design must also be kept into consideration. Secondly, if the design isn’t well matched to your house, it is going to look really bad. So, instead of letting that happen, try to get a design that is classic and yet very stylish and elegant with neutral colors so that it easily matches up to your furnishings. Last and the most important consideration is the cost of the player. As we mentioned in the beginning as well, record players come with varying prices, ranging from very low to very high. You can get the idea of the price diversity from our list as well. Therefore, the ideal way is to just go with your own spending power and pick one accordingly. You will find good quality turntables in both high and low prices. But, obviously, the costlier ones would have more advanced features than the cheaper ones. Nonetheless, you will find great functionality and performance in less pricey models too. All you have to do is look for the right one. But, if your budget allows, the best option is to go for the ones that have a mediocre price. There are a number of qualities that make a turntable better than the others. Have a look. A high level of connectivity is a sign of a good quality record player. A player must come with an integrated phono preamp or we can say USB output. So that it can be linked to any of the electronic gadgets such as a computer, or smart phone for enabling you to listen to all of your digitized records. A turntable/record player must be easy to use and operate. It must give you complete control over the music with a touch of a button. A turntable must be able to adjust its performance according to the speed variations of the record. 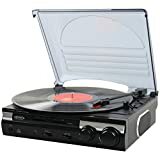 To wrap it up, we’d like to say that buying a record player can be a really daunting task because there are a lot of things that are needed to be taken into account before making the final pick. And as you can see above, the prices of these record players insanely vary from one model to the other on the basis of their features and uniqueness. If you are looking for a more basic option that won’t cost you an arm and leg, we’d recommend you go for the Jensen JTA-230. Not only it has a great sound quality, it also offers too many features for its price. 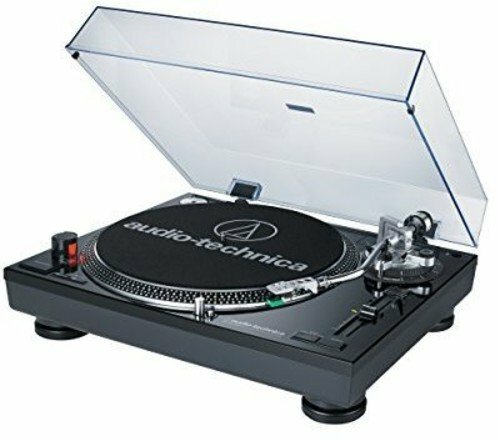 However, if your budget is a bit more flexible, we’d strongly recommend that you go for the audio-Technica AT-LP120, as it’s the best all rounder record player with a top performance. We are certain that you are going to be 100% satisfied with it.